Tax season is still a fair bit off, but nothing makes taxes more painful than being unprepared. Many of us can take advantage of tax breaks if we keep good records of our spending throughout the year. I’m going to tell you about a few tax credits and deductions now, so you have plenty of time to get what you need together to claim them come tax time. Full amount changes from year to year, but in 2016 it is $4,457. If you’re above the age of 65 and you make less than $33,174, you can claim the full amount. If you make more than that, you can claim smaller amounts based on a percentage of your income. Charitable donations will grab you some dough come tax time. The exact amount varies based on how much you donated during the tax year, which province you’re in, and what year you’re applying for. In some cases, you can get close to a quarter of what you donated back! In Canada, if you’re buying your first home, you are entitled to a sizeable tax credit. You can grab up to $750 back from the government for purchasing a qualifying home in Canada during the tax year. This does not include the various grants available to homebuyers from Provincial governments. These include the property transfer tax grant, property tax grants, and more. Check with your Provincial government to find out what grants and credits you are eligible for as a first-time homebuyer. Expenses relating to medical issues that are not covered by your healthcare, such as ambulance services or therapy animals, can be claimed on your taxes. If your job requires you to be a member of a union and you have to pay dues as a part of that, make sure you claim those dues on your taxes. Depending on the amount of your student loans and the interest you’ve paid on them throughout the tax year, you can add a fairly significant amount to your tax refund. Be sure to keep track of the interest you’ve paid on student loans only, and claim them on your taxes. Being a parent in Canada is expensive. Every time you turn around, there’s another huge expense on the horizon. Luckily, we live in a country where the government recognizes both the expense in raising a child and the value in investing in our future. 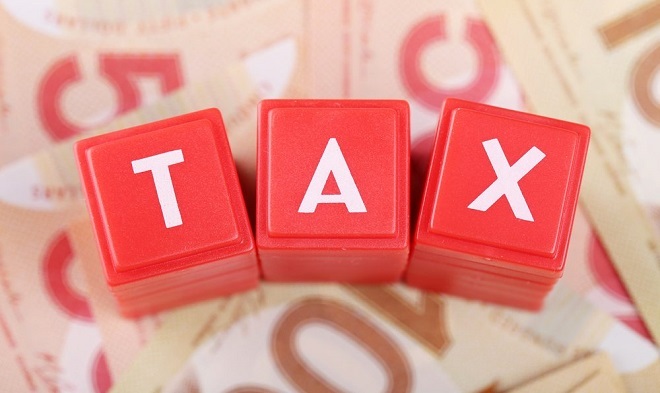 Thanks to this attitude in Canada, there are quite a few tax credits, benefits, and deductions you can claim when tax time comes around, to ease some of the financial strain of raising your babies. As of 2016, the Canada Child Benefit replaced the Canada Child Tax Benefit and is issued as a monthly payment that can add up to an annual amount about of about $6400. You can deduct up to $8000 per year per child under 6 and $5000 for each child aged 7-15 for any eligible child care. This includes daycare, preschool, nannies, babysitters, etc. If your child is under 18 and has a mental or physical disability, you can be eligible for up to $2730 in tax-free benefits. If your child is enrolled in an educational institution and you paid more than $100 in tuition, you can claim everything you spent on tuition. While tax benefits and deductions have changed a bit over the past several years, your savings and credits can still add up to be quite a bit each year. Make sure you’re taking advantage of all that apply to your family, so you can reduce the financial strain of raising a family. Who knows, maybe you’ll get a sizeable return this year and be able to make some big payments on your debts. Self-employed? Check out these tax credits you may qualify for! Have you heard about the increase in child tax in 2018? The Liberal government announced an increase in child tax that all Canadian parents are eligible to receive. Although the increase won't come into effect until July 2018, you should make sure you're enrolled now, so that you can take full advantage. • Are primarily responsible for the care and upbringing of the child. • Be a resident of Canada for tax purposes. - In a house with two equal parents, the mother is usually chosen by default, as she is often considered to be the primary caregiver. Unless the father is the primary caregiver, just pick the default or the spouse with the lower income. If you share custody, let the primary caregiver apply for the benefit. Keep in mind, that in order for a father to receive the benefit while the mother is still in the picture, it requires a written note from the mother confirming that the father should be the one to apply. - Click here to register for a CRA login and click here to access the CRA login page. - Once you log in, you will see a tab at the top of the page that says "Benefits and Credits". 5. Follow Link Under "Child Information"
- This link will allow you to add children under your care. Follow the steps from there. If the CRA needs more information about your request, you will get a letter in the mail detailing what information they require. You can fill it out and mail the information, or you can scan it and send it back to them via your CRA account. There is a “Submit documents” link on the sidebar of your account which will take you through the process of uploading the scans. Once they have verified the information, you will start receiving the child tax benefit and you can take advantage of the increases coming next year. If you always seem find find yourself owing at tax time, and you can't seem to get your credit back on track, get in touch with us. Learn how Refresh can help rebuild your credit score with no credit checks and no money upfront!